AmusementAquatic Management Group's purpose is to provide professional marketing driven, revenue oriented, profit focused, financially disciplined, guest friendly, consulting or turnkey management services to the amusement, theme and waterpark industry while achieving satisfactory profits for our clients and ourselves. Company Summary of Beliefs, Goals and More. We believe our "hands on" marketing driven, revenue focused, people oriented, financially disciplined management approach will result in our service providing clients with the most successful park attendance, revenue, operations and profit possible. We have large park capabilities and experience, with a small park hands on, attention to detail, and an owner / operator attitude to your park's business. We want to emphasize the importance of our park clients' need to be unique to the competition and the importance of building and operating a park based on market research. In addition to our service described previously, we have new and unique park concepts that we could bring to you or utilize with your current concept, which would introduce a new type of amusement, aquatic / theme park product. We also want to stress the importance of marketing, from how you position your park, from the marketing creative process to implementation and execution of a strong, aggressive targeted marketing, publicity, advertising, sales, promotional plan and campaign. When you retain our company, you get our most experienced executives including our principals who will be personally involved in your project. 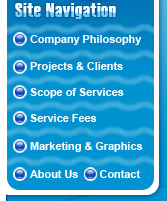 We limit our client base to ensure that we devote our time to your project. AmusementAquatic Management Group, Inc., (AMG), is in the business of consulting on or developing and managing water parks, family entertainment, recreational, retail and amusement park facilities. AMG provides a variety of industry services including complete turnkey management responsibility of all areas including site selection, feasibility, conceptualization, design consulting, planning, management, facilitation of financing, development and management through project completion. AMG manages facilities taking total responsibility for bottom line results. The Company's purpose is to consult on designing, building, marketing, managing and operating quality projects that provide attractive returns to our clients. AMG also advises, consults and provides services on projects at any stage of development or maturity. Since 1972, AMG's principal has consulted for, developed, marketed, managed and operated some of the most successful and well known theme, amusement, waterpark and family entertainment centers in North America. AmusementAquatic Management Group, a company founded, owned and operated by Kent Lemasters who has managed, operated, consulted on or developed projects in Missouri, Tennessee, Alabama, Hawaii, California, Florida, Nevada, Canada, South Africa, and South America. Projects include consulting and managing of theme parks, major waterparks, family entertainment centers, amusement parks, special events and festivals.